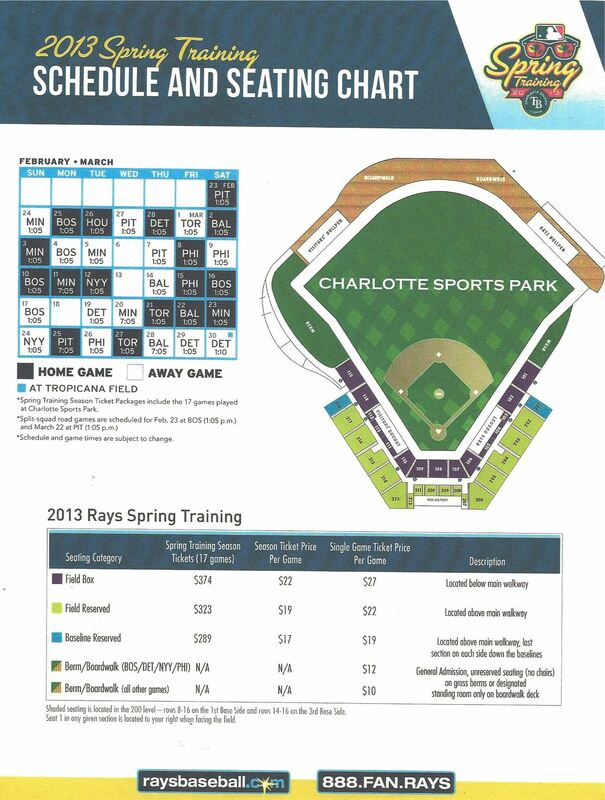 The Tampa Bay Rays have begun another year of exciting spring training in Port Charlotte, FL. All the stars are here as well as players from competing teams. Charlotte County Sports Park is a beautiful facility with comfortable seating, accommodating facilities, grassy berms along the foul lines for families to spread out, a boardwalk around the out field and a center field tiki bar to enjoy a beverage. On Sunday, March 3, fans got to enjoy watching 2012 American League Cy Young winner David Price strike out 5 Minnesota Twins batters in three innings of play. Price, who was 20-5 with a 2.56 ERA in 2012, looked sharp and ready for the season. The previous day, Alex Cobb pitched. After a little nervousness, Alex settled down against the Orioles and had an excellent outing, pitching three strong innings. The Monday before, Alex had a tough time against the Red Sox, allowing Dustin Pedroia’s first homer of the season over the left field wall in the first. In Saturday’s game Alex was more comfortable and made the fans optimistic for the coming season.